If $199 for a 7-inch tablet isn’t cheap enough for you, then one that costs $99 may be up your alley. We’ve been hearing about this even cheaper Google Nexus 7 tablet for some time now but we’ve yet to hear official details about its specs or its release. But with all the conflicting information we’ve been getting, you may not want to hold off on getting your hopes up. “Google, following the launch of Nexus 7 tablet models in June 2012, will unveil a Nexus tablet model for US$99 later in the fourth quarter of 2012, according to Taiwan-based supply chain makers. Chances are, the only way we’re seeing a $99 Google Nexus 7 is if a carrier ends up subsidizing it. 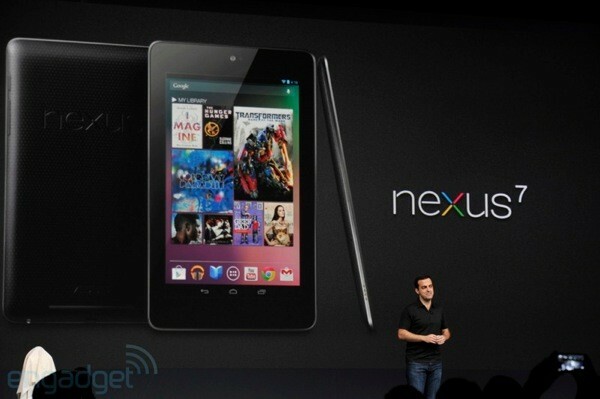 Would you like to see a $99 Google Nexus 7 hit the market? Or are you already happy with its $199 price tag? Share your thoughts in the comments below!